Le Reve Baishakh 2019 collection is inspired by the country’s traditional folklores. Geometric and floral Baishakh motif and colour have been created in salwar kamiz, kurta, Panjabi, fotua by karchupi with tie dye, batik, block & chunri with hand and machine embroidery inspired by Latino Folk-Mexican styling which merges with Blooming Flora references. Le Reve introduces new prints in men’s T-shirts/shirts and women’s styles of tunics with exclusive range of sarees. 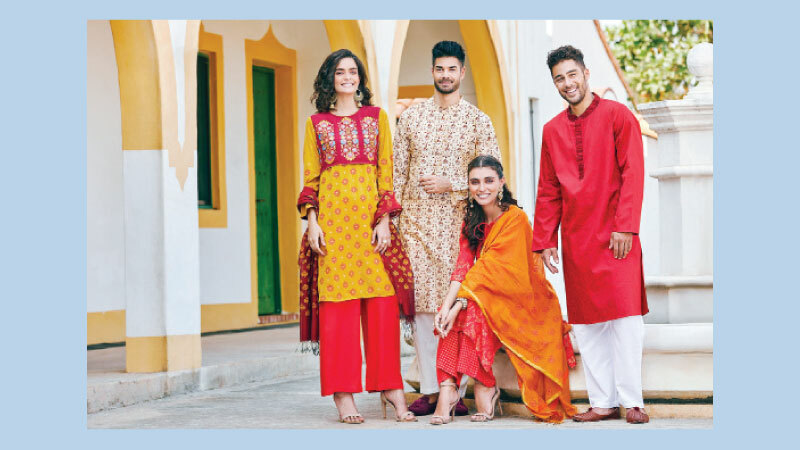 Basic sets of clothing such as varied formal as well as casual culottes, palazzos and tired/A-line skirts for women’s and for Men’s, it has new Dobby’s and motif styles in Panjabi & many more. The fashion house brought trendy printed T-shirts for men and layered/draped tunics for women, salwar kamiz and dupatta combo, including the designated combos designed for kids wear in this Baishakh with folk-blended Baishakh motifs and elements. 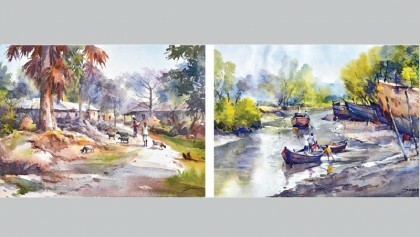 Pahela Baisakh Collection 2019 is available at all Le Reve outlets across Bangladesh.